Any of you who've watched the TV reality series "Bering Sea Gold" already know something about beach placers and offshore gold deposits. I've also talked about beach placers briefly in a post or two here in Bedrock Dreams. In this series of posts I'll be giving you some specific info on beach gold (and yes...platinum!) locations along California and Oregon beaches and exactly where along a beach you should prospect for these precious metals. Sound good? Then read on my friend. 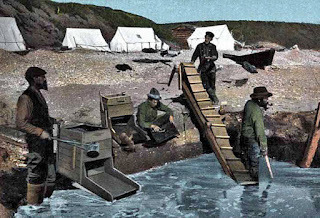 In 1898 hordes of would-be Argonauts headed for the Yukon Territories in Canada as part of what some historians call "the last great gold rush of modern times." Most of these gold seekers didn't last very long in the Yukon...abominable weather conditions, permafrost, and the sheer back-breaking work involved in small-scale mining broke their resolve at striking it rich. Sure, a few of these men and women did find gold in quantity in the region surrounding Dawson City, but most barely eked out a subsistence living. 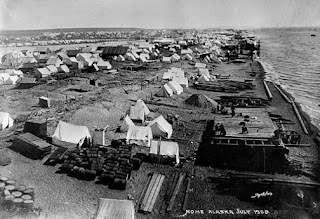 The latter were dispirited and homesick, and on the verge of giving up their golden dreams in the spring of 1899 when news arrived in Dawson that fabulously rich gold deposits had been found along the beaches near what would would become modern-day Nome, Alaska. By the summer of 1899 over 8,000 miners had left Dawson City and the Yukon hoping to hit the "big one" along the coast of the Bering Sea, especially near Anvil Creek where some of the richest beach deposits were found. Soon a bustling town of 20,000 souls sprang up to support the miners camped in tents on nearby beaches. This is how Nome ended up on reality television. Beach placer deposits have been found at various locations throughout the world but none were (or are) as rich in gold as those in Alaska. Nome remains the "king" of beach placers, although the best gold there is found just offshore today. I know a little something about beach placers myself, having mined for beach placer gold near San Francisco and locations immediately north and south of the Golden Gate. Did I find gold on those beaches. Yes, I did, but it was sparse in quantity and dissemination, and very fine in size. Undoubtedly the sources of the gold in Northern California beach placers and those in Oregon were derived from richer placers and lodes farther in the interior of those two states. 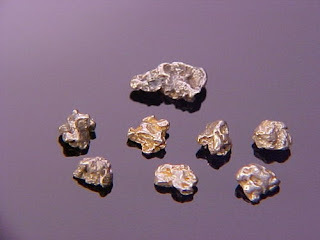 Unlike Nome where many lodes and rich placers not far inland have allowed coarse gold to be deposited along the coast and just offshore, the gold (and platinum) found along California and Oregon beaches is very fine in size. Get that fact imprinted in your brain. Beach placer precious metals in these two states will be extremely fine so if your main driver is recovering flakes, coarse gold, or nuggets...well, my friend, beach mining won't float your boat! But the gold is there none-the-less and so are platinum and platinum group metals (PGM). Let's talk about PGM for a moment. They include platinum of course, which like gold itself is alloyed with other constituents (for gold: silver, iron, copper, etc.). The other metals/minerals associated with platinum (other than iron) are typically palladium, iridium, rhodium, osmium, and ruthenium...all of which have greater or lesser degrees of economic or strategic value if found in high enough quantities. In the old days (for me the 1970s and 1980s!) platinum was always more precious than gold and sold at a higher spot value on daily metals markets. As I write this post the spot price of platinum is a tad under $900 (USD) a troy ounce while gold's spot price is nearly $1,300 an ounce! Go figure. 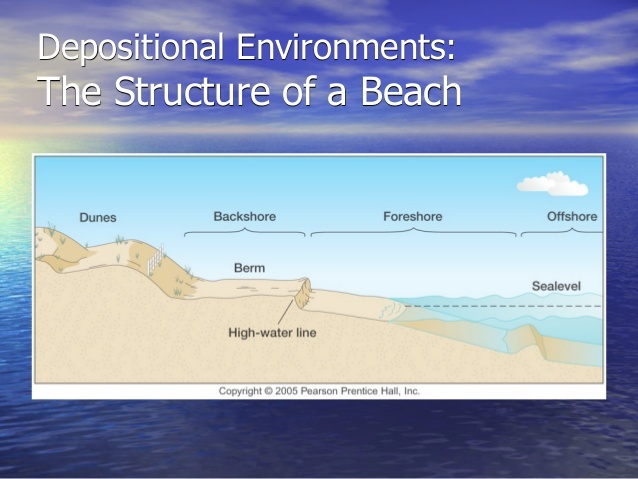 If you're interested in mining beach placers in California or Oregon, I can't stress enough to you the importance of having a good knowledge of beach structure. This is also true of beach treasure hunting for lost jewelry and coins (which I became very adept at in the 1980s) but that's another story in and of itself. If you have little understanding of how precious metals or other items with a high specific gravity or density are deposited on beaches then your chances of success at recovering those cashable items are poor indeed. Trust me when I say this. I know. Without attempting to be a braggart, I recovered thousands and thousands of dollars worth of gold and silver in various forms from beaches in my heyday. In fact, so many cashable items (natural and otherwise) that I was able to fund my small-scale mining and dredging activities all through the 1980s. I worked the beaches in the winter and very early spring months and then headed for the California Motherlode in the summertime. Oh, throw in some dry washing for desert gold in the fall and you get a pretty clear picture of what I was up to back in those days. I was a very busy boy back then! 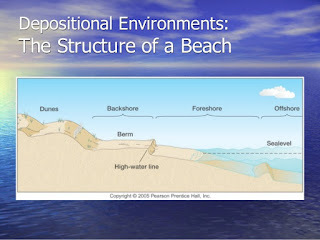 In my next post I'll clue you in about you what you need to know about beach structure if you're interested in beach mining in California and Oregon. In other words, I'll give you the unadulterated hoot poop on the subject! Until then, be good to one another.